Parental involvement is related to many positive child outcomes, but if not developmentally appropriate, it can be associated with higher levels of child anxiety and depression. Few studies have examined the effects of over-controlling parenting, or “helicopter parenting,” in college students. Some studies have found that college students of over-controlling parents report feeling less satisfied with family life and have lower levels of psychological well-being. This study examined self-determination theory as the potential underlying mechanism explaining this relationship. College students (N = 297) completed measures of helicopter parenting, autonomy supportive parenting, depression, anxiety, satisfaction with life, and basic psychological needs satisfaction. Students who reported having over-controlling parents reported significantly higher levels of depression and less satisfaction with life. 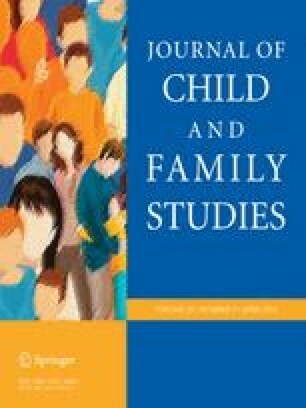 Furthermore, the negative effects of helicopter parenting on college students’ well-being were largely explained by the perceived violation of students’ basic psychological needs for autonomy and competence. Please answer the following questions thinking about your mother on a scale from 1 (strongly disagree) to 6 (strongly agree). Costell, A. B., & Osborne, J. W. (2005). Best practices in exploratory factor analysis: four recommendations for getting the most from your analysis. Practical Assessment Research & Evaluation, 10. Available online: http://pareonline.net/getvn.asp?v=10&n=7. Gibbs, N. (2009). The growing backlash against overparenting. Time Magazine. Retrieved from http://www.time.com/time/magazine/article/0,9171,1940697,00.html. Shoup, R., Gonyea, R. M., & Kuh, G. D. (2009). Helicopter parents: Examining the impact of highly involved parents on student engagement and educational outcomes. Paper presented at the 49th Annual Forum of the Association for Institutional Research, Atlanta, Georgia. Retrieved from http://cpr.iub.edu/uploads/AIR%202009%20Impact%20of%20Helicopter%20Parents.pdf. Deci, E., & Ryan, R. (n.d.). Self-determination theory: An approach to human motivation and personality. Retrieved from http://www.selfdeterminationtheory.org/.